The lights might not all be in use at The Roundhouse, but that’s all part of the glorious pandemonium as it turns into a madhouse of the ABC theme: Acrobatics, Burlesque and Comedy. 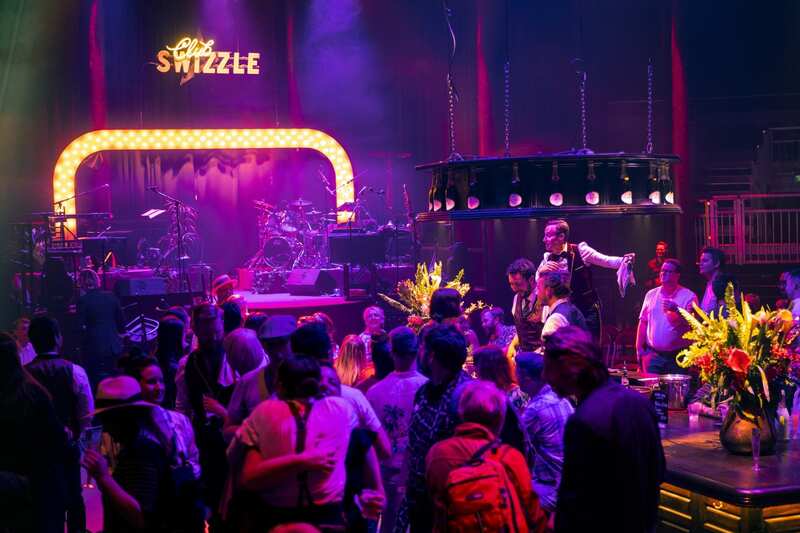 Indeed, Club Swizzle is dubbed the show with a twist. 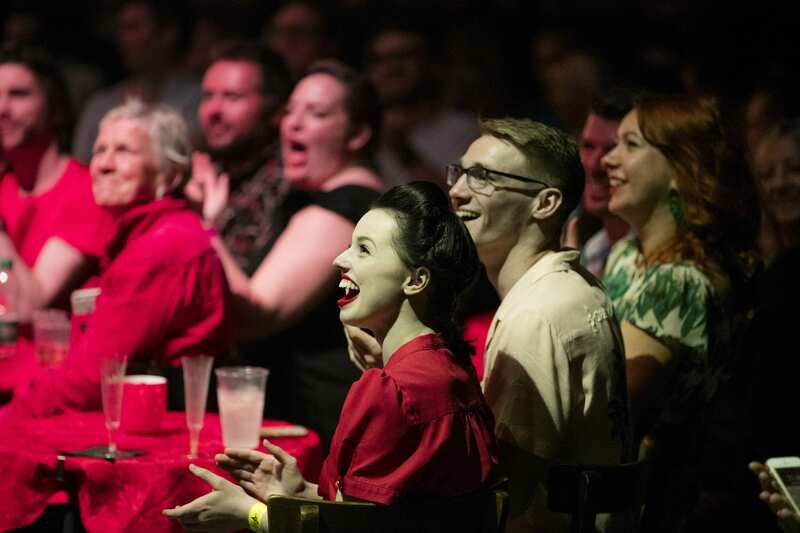 Presented to you by the creators of La Soiree, lead cabaret performer Reuben Kaye begins proceedings by startling spectators at the stage bar back into their seats, glass full or empty. His wand-like microphone ensures that he can either shoo you away or draw you into the limelight as he pleases. The live band includes Dandy Wellington, Laurie Hagen and Yammel Rodriguez who all provide an additional zest to the plethora of supreme stunts. Ever had a drink served to you by an upside down bartender who serves it more skilfully than one standing upright!? Audience participation and flash photography are both insisted upon from the outset. 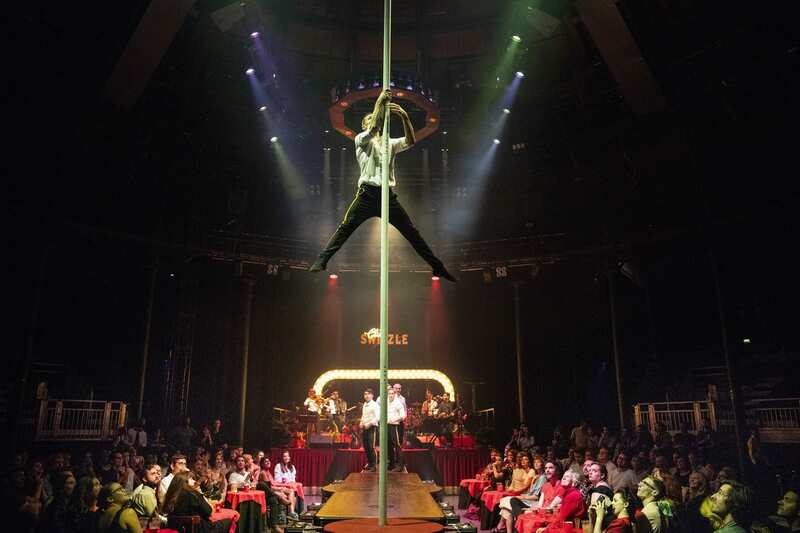 Should you purchase VIP tickets, then it might be subject to you strutting your stuff on the poles! Elsewhere there are daring jumps through rising hoops and raunchy catwalks.